Container gardening is a great way to enjoy all the pleasures of a garden without as much space, labor or time, but you don't have to sacrifice beauty. 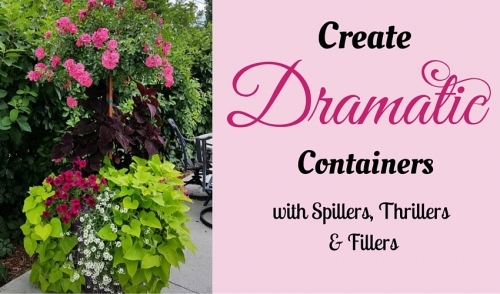 Plan your containers to use spillers, thrillers and fillers in dramatic combinations, and you'll have showstopping containers in no time. Spillers are trailing plants that deliberately spill over the edge of containers to create a more organic, living feel to the arrangement. They can make a small container seem much larger, and are ideal for small spaces. A thriller is the centerpiece of a container, and is often a tall, dramatic plant that immediately draws the eye. Opt for unique plants with unexpected textures or structures to create that thrilling spotlight in any container. Filler plants are smaller, mounding plants that literally fill in the excess space in a container, but they don't have to be boring. Look for colors, foliage shapes and textures that contrast well with your spillers and thrillers, and don't shy away from unusual options. No matter which spillers, thrillers or fillers you choose for containers, use each container as an opportunity to experiment with new and unique textures, colors or arrangements, and have fun choosing new plants to try. 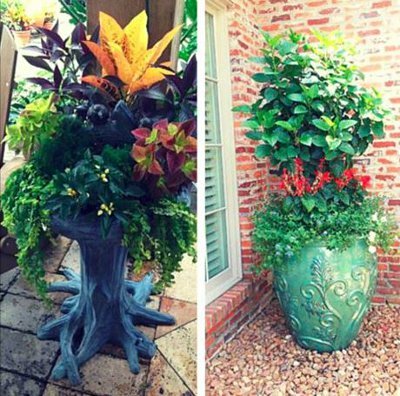 The more dramatic the arrangement, the more attention your amazing containers will get!